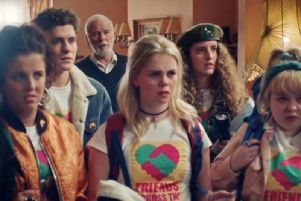 One of the most unexpected turns of the first series of Derry Girls came late in the season when Clare Devlin comes out as lesbian to her shocked best friend Erin. 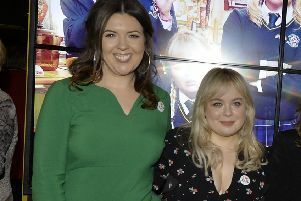 Dylan Llewellyn and Nicola Coughlan were pure buzzing as they arrived into the Guildhall ahead of attending the premiere of Derry Girls Season 2 last week. 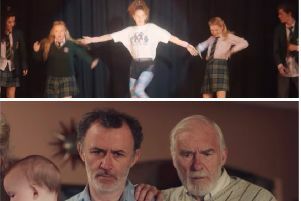 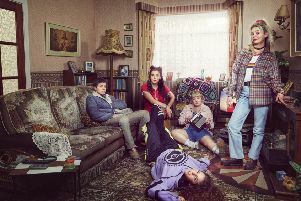 The heart-wrenching final scenes of Season One of Derry Girls with the juxtaposition of the teenagers dancing on a school stage as relatives at home watched the unfolding horror of ther aftermath of a bombing was praised for its bravery and had many in tears. 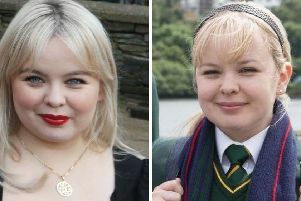 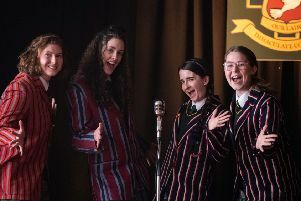 When the cast of Derry Girls stumbled onto the small screen back in January 2018, series creator Lisa McGee said she could never have dreamed that one year on, the show would have fans everywhere from Sydney to Seattle. 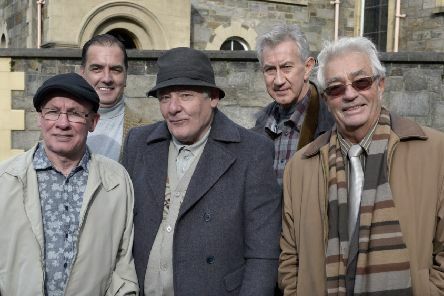 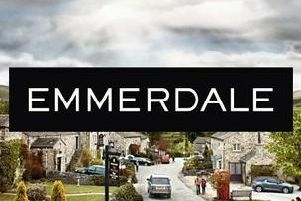 Northern Ireland will feature in a special episode of ITV soap, 'Emmerdale', on Thursday March 7, 2019. 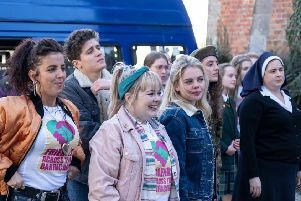 Derry Girls will return to our screens in just under two weeks on March 5. 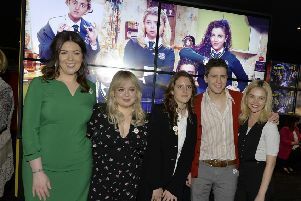 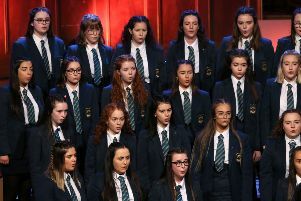 The red carpet was rolled out for the stars and crew of ‘Derry Girls ‘last night as they gathered in the Maiden City for the world premiere of Series Two of the hit TV show. 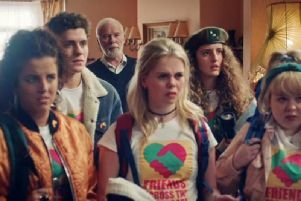 The trailer for the eagerly awaited series two of 'Derry Girls' was released on Tuesday afternoon.